Self mastery is not an inborn quality. Those who have it developed it through years of experience. They have learned the techniques that created wealth and made themselves a valuable asset to themselves, their families, their employers and their communities. Anyone who hopes for the same level of success need to develop those same qualities. Success is based on a feeling that no matter what the objective is, it can be achieved. And that requires a personal belief that everything is possible. Those who become wealthy have an unshakable belief in their talents and abilities. They know their strengths and use them to full advantage. They don't approach problems with fear. In fact, they welcome the challenges they face throughout life as they know that overcoming them is what builds character and builds self confidence. Because they are confident, they face problems that others shy away from. But this doesn't mean they rush in without first analyzing the problems and making plans on how to address those problems. While they are risk takers, they don't plunge in without doing some research and seeking for the best solutions. Wealthy people are often solution providers. Whether it's within the confines of a corporation or the family, they look for solutions to solve problems. They stand out in the eyes of their employers and are rewarded with better salaries and more promotions. Whatever they do is meant to improve their character and provide a valuable service to everyone they deal with on a daily basis. They don't have the “me” attitude of the common man and that's what makes them stand apart. With all the negatives broadcast by the media, it's easy to give in and think negatively about the world and of the future. But the world has always been in a mess and a negative attitude doesn't help make anything better. No matter what state the economy is in, a positive attitude is what brings many through the worst circumstances. They become leaders that help create a turnaround in the economy and along with it comes the wealth and prosperity they get when they put forth the necessary effort. 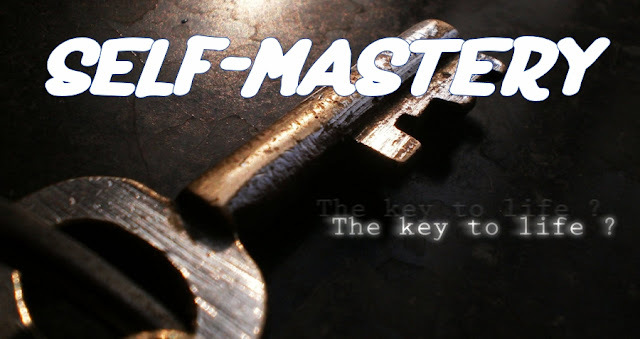 Self mastery comes from giving something away, whether that something is money, time or a sincere compliment. It's no surprise that many wealthy people give away both time and money as they are thankful for their wealth and stature in life. Those who know their real value don't become greedy, vindictive or closet themselves from others. They are community leaders. They are the philanthropists who take time to dole out meals at the soup kitchens. They simply know that the accumulation of money is not the ultimate goal of life. Contrary to what most people believe, those who are self confident don't hide in the proverbial ivory tower. They grew up knowing that the ability to communicate with others is what helped them realize their dreams. They are open to suggestions and willing to listen to their families and understand that everyone, no matter what their current status in life, has something to give. They don't need to be great orators as their ability to listen is what builds long lasting friendships. For the common man life is filled with anxiety, fear and pain. High blood pressure, heart disease and many of the ills of today's society is an indication that the right priorities haven't been set. Those who know their purpose in life don't neglect their health. They watch their diet and exercise regularly. They avoid the excesses of drinking and smoking. They take time out of a busy schedule to be around their families and friends. For them, money is not a substitute for good health. These properties are what builds self confidence. It's those qualities that everyone needs to develop if they aspire to have true wealth and happiness.